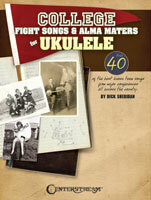 For the varsity football enthusiast, as well as for the perennial college sophomore, here are over 40 of the best-known team songs from major conferneces all across the country in easy-to-play arrangements for the ever-popular ukulele. Even if your own school connection is not included, you�ll recognize many of these songs made popular through sporting events, radio and TV broadcasts. 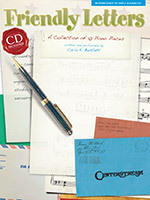 Includes arrangements in standard notation and tablature, with lyrics and melodies. Composer Carla Bartlett writes �musical letters" to tell her friends how special they are. This collection assembles ten of her compositions - in styles from samba to rock and country to jazz - at the intermediate to early advanced level. The CD features Carla performing the pieces. 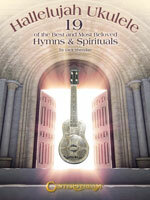 Here�s a truly special collection of gospel favorites drawn from the traditions of many faiths and cultures. It brings a delightful mix of treasured worship songs, including: Amazing Grace � Go Down, Moses � Hine Mah Tev � In the Garden � The Old Rugged Cross � Rock My Soul � Swing Low, Sweet Chariot � What a Friend We Have in Jesus � and many more. This book contains basic melodies with notes and tablature, exciting creative harmonies, chord symbols and large, easy-to-read diagrams, and selected solos and lyrics. 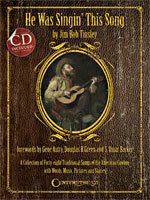 In this book Jim Bob Tinsley shows the cowboys' songs to be an essential metaphor of their lives and times. He follows the image of the cowboy from the ""cow-keeper"" of colonial America, through the Civil War, the war for Texas's independence, the banditry of the Old West. He follows the image along the trail of the cattle drive, fighting Indians and rustlers, and into the saloons and dance halls with the gunfighter and gambler, and arrives finally at the hero we know from films and television. This book/CD pack by Rudy Robbins, of the official Texan cowboy band Spirit of Texas, and Shirley Field, Canada's champion female yodeler, will teach you how to yodel in no time! 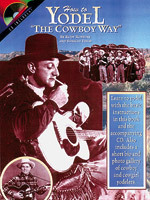 Features basic instructions, simple songs, recorded demonstrations, and a special photo gallery & short bios of cowboy and cowgirl yodelers.